I read a lot of amateur sleuth mysteries. 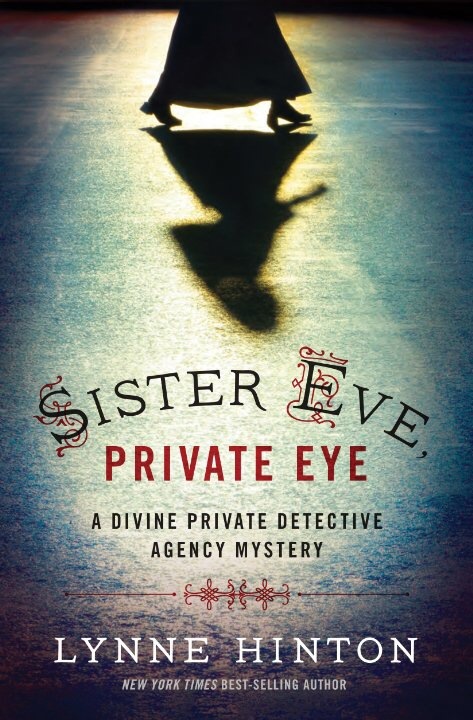 Sister Eve is a little younger than the usual sleuths I read, and she rides a Harley, and she’s a nun, AND her dad is a former detective. Refreshing and appealing! But the plot just didn’t come together smoothly for me. Storylines are aesthetic… Liking a plot line comes down to your personal taste. I think this one just didn’t do it for me — the whole film world turned me off. I didn’t like the deviousness and quirks of the characters in the film industry. Even pretty Megan annoyed me when she didn’t stand up for herself. The crime SOLVING, though… That was my cup of tea. Sister Eve and her friends who just happen to have information to help her solve the case… Eve’s brainstorming sessions with her dad… The police on the fringe of the true investigation… All very well worth the read. My favorite part? Eve taking another leave of absence from the convent, because that means she might have another crime to solve soon.